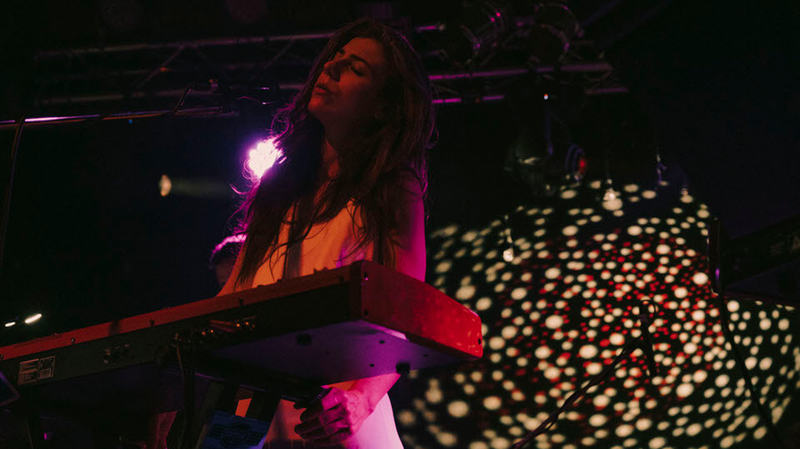 Julia Holter is one of the most intriguing figures in pop music today, her compositions an amalgam of pop hooks and jazzy/ambient soundscapes full of ebbs and flows. Her latest album, Aviary, was voted Xpress’ #2 album of the year for 2018. I came in curious about how the drones and swells of Aviary would translate live. 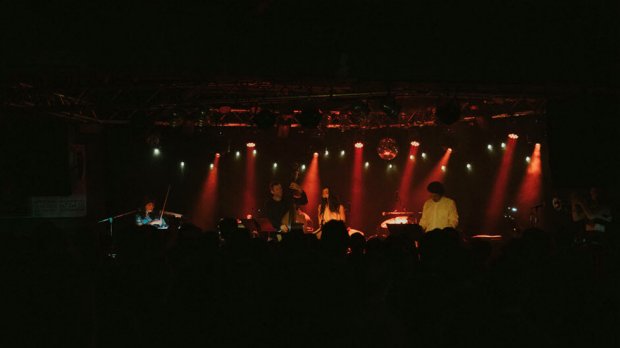 I came out blown away – Julia Holter brought something special in a gig not soon forgotten. Opening proceedings were local mainstays Jacob Diamond and Felicity Groom and they didn’t disappoint. Jacob Diamond’s relaxed stage manner belied not only his masterful voice but also his guitar technique as he added flourish to his array of soulful, Jeff Buckley inflected tunes. Felicity Groom came next and her set swelled from an initial solo song into an expansive all-band set, her beautiful voice underpinned by guitar lines and a drummer whose imitation of a skittering drum machine was truly uncanny. The set ended with a bang in a powerful vocal and guitar crescendo – it was a good taster for what was yet to come. 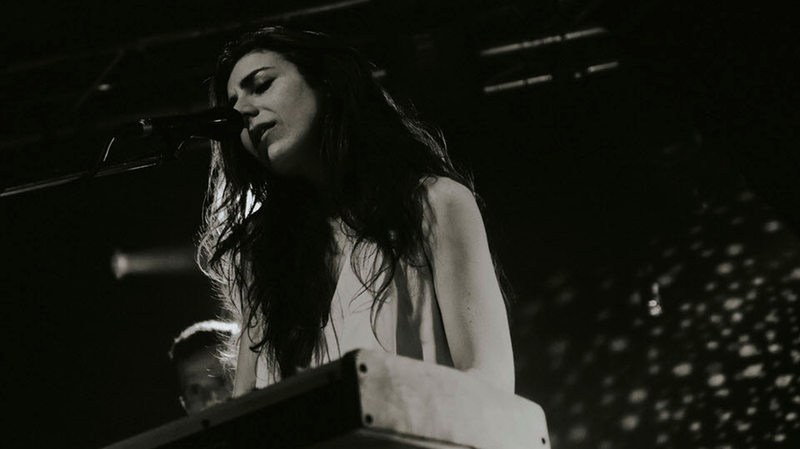 Julia Holter came out inconspicuously, but as soon as her fingers touched the keys the ride began. She opened with solo piece In Gardens Muteness. 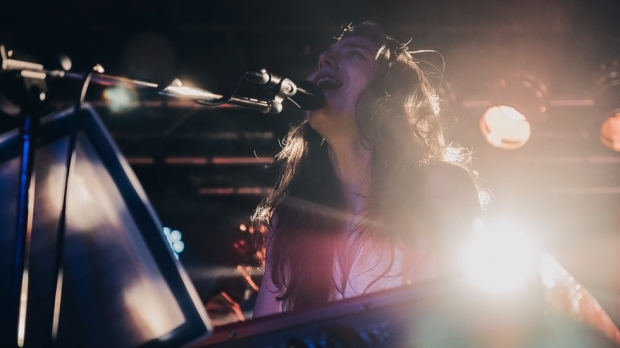 Immediately striking was the clarity of her voice – Holter’s vocal delivery was something to behold all throughout this set, her voice swooping, diving, chirping and belting – just as crystalline as on record, and with even more room to breathe. The band came one next and my initial question was answered – the stunning ebbs and ambient flows of Aviary are twice as entrancing live. In retrospect, Holter’s albums now seem like snapshots of live performance rather than studio compositions that she takes on the road. Holter’s voice was nothing without the amazing soundscapes over which it floated, and the band was phenomenal. The contribution of harmonised viola (Dina McAvey), horns (Sarah Bell Reed) and bagpipe (Tashi Wada) was particularly enthralling, creating a mesmerising orchestra-sized sound that was equal parts epic and mysterious. All throughout the band paid close attention to their music sheets – for all its space, this was also meticulously composed music. Andrew Jones on double bass was a magician, his busy fretwork amidst the drone often creating an off-kilter, dizzying sound. In such capable hands, the tracks took on a life of their own, with contributions from Aviary getting heavy rotation. I Shall Love 1 boomed out the gate, re-worked as more meditative, driven by violin stabs and building to a powerful crescendo with Holter’s voice generating some serious power. Whether came next and was carried off perfectly. Particularly notable were the violin and keys creating an uncanny pitch shifting effect, offsetting beauty with spaciness. A further atmospheric highlight was Colligere, with the trumpet taking centre stage for a dark slice of jazz noir. Holter was playful throughout, with off-hand banter (“What song are we playing again?”) in between some very flattering commentary on Perth’s beaches. Sea Calls Me Home became, then, an ode to our beaches, and Holter’s playfulness shone through. Likewise on standout cut Les Jeux to You, which was injected with some real live energy and rhythmic heft. Likewise Underneath the Moon at times approached a dance track, with the beat taking centre stage as Holter played around with an array of dizzying electronics. At the end of the gig I came out bleary eyed – this was as much an experience as it was a performance. Holter was utterly entrancing, the sound transcendent, extending above and beyond a studio sound that I thought would be inimitable live. This may have been one of the gigs of the year.